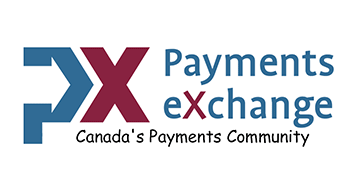 Payment Exchange's responsibility is to engage and grow Canada's Payment Community, where we have a respected platform to stimulate and educate consumers, regulators and stakeholders on best practices, trends, challenges and opportunities. To promote excellent relations and build superior relationships, domestically and globally. To expand our stakeholder service capabilities, functionality and engagement through technology, innovation, security and interoperability, so that we may ultimately increase the adoption of our products and services by citizens, organizations and governments. Our well established dynamic and influential Community of thought leaders, industry, entrepreneurs and product shapers are comprised of companies doing business here and others who intend to do business here, in Canada. Our role, as the catalyst, is to guide, nurture, stimulate and bring together leaders and implementers from Gift, Prepaid, Financial Services, Digital, Emerging Tech, Innovation, Legal, Professional Services, Loyalty, Engagement, Mobile and the Payments sectors. To be instrumental, to innovate, collaborate and educate, so that our vertical industry challenges and opportunities are well aligned, both tactically and logistically, across company responsibilities and shareholdership, together with overall go-to-market strategies, so that we can ultimately realize success through exponential growth and acceptance.